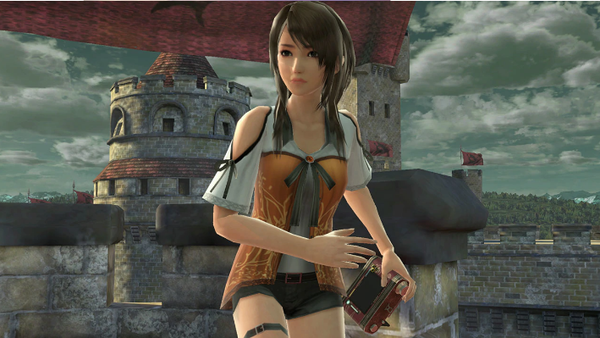 The protagonist of the Fatal Frame: Maiden of Black Water game is now an assist trophy. If she gets you with her Camera Obscura you'll be paralyzed for a short time, so watch out! I wish she were a playable character. I&apos;d love to see how a horror game protag would work. They&apos;d have to have some kind of big risk big reward/small risk small reward mechanic. I REALLY hope this garners massive interest in Fatal Frame causing Nintendo to put the series on Switch and make a new one.